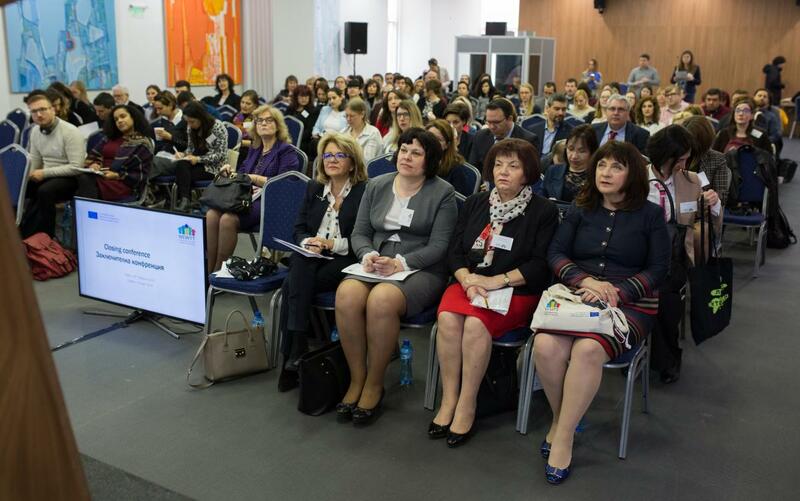 The closing conference of the Erasmus+ policy experimentation project “A New Way for New Talents in Teaching (NEWTT)” took place in Sofia, Bulgaria, on March 14, 2019. 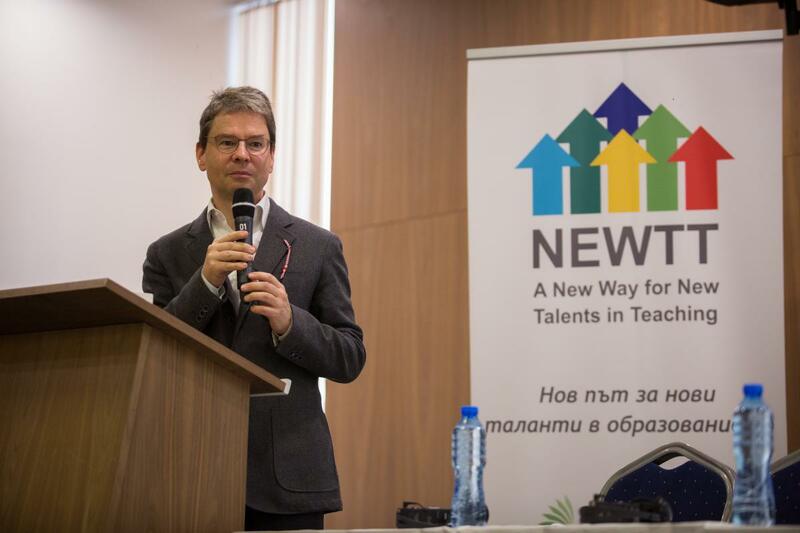 Over the last 3 years, NEWTT, a consortium of 15 partners – across five European countries and co-financed by the European Union through the Erasmus+ program – designed, implemented, and evaluated five alternative pathways to teacher recruitment and certification. 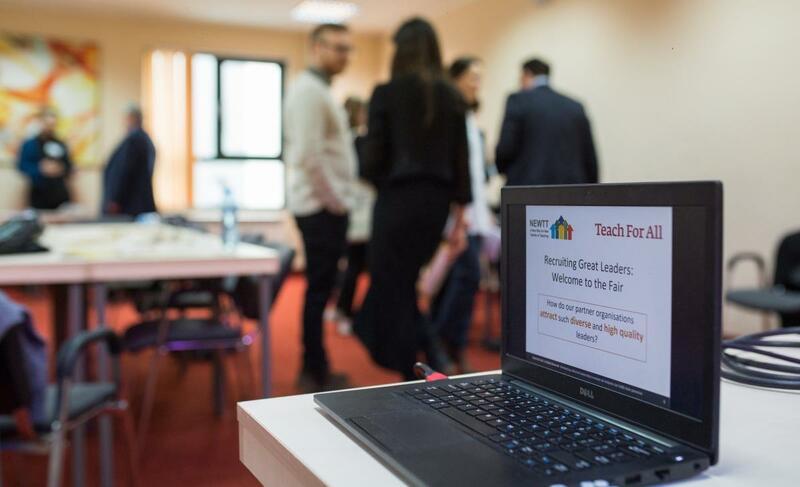 This project was developed in an effort to help find innovative solutions to education challenges felt all over Europe, such as teacher shortages, inconsistent teaching quality, and limited teacher force diversity. 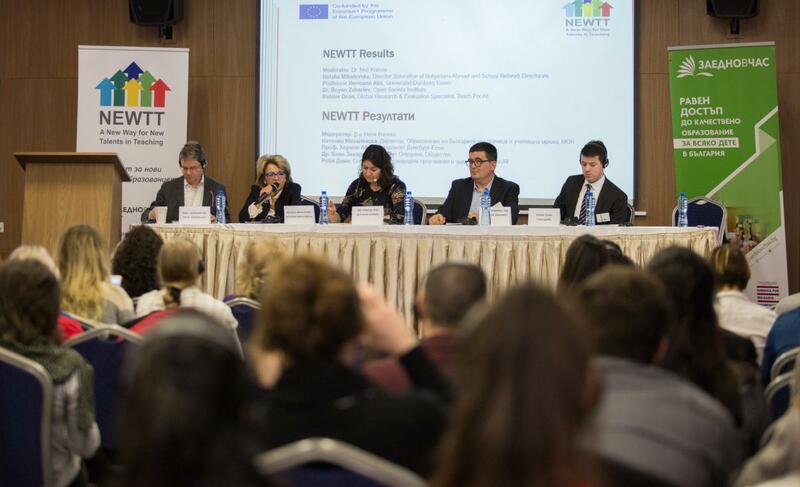 The closing conference was the perfect opportunity for the partners in the consortium to share the results of NEWTT, our plans for their exploitation, the lessons learned along the way, and to give the floor to the participants and organizations that contributed to its encouraging results and findings. The forum brought together teachers, principals, union leaders, politicians, university professors, and other crucial stakeholders. Our partners from the evaluation team at the University of Duisburg-Essen presented the final evaluation report which you can download from this page.